Grew Up… honing his craft. Kirk Lazarus, although you might not know it by looking at him or hearing him speak, was born and raised in Australia. He was devoted to “method acting” from a young age and planned to use his skills to break into Hollywood. Living… in the wake of multiple Academy Awards (five, to be precise). Kirk will do anything for his roles, and never breaks character while on set. Kirk readily undergoes “pigmentation alteration” for his role as Sergeant Lincoln Osiris, an African-American soldier during the Vietnam War in the upcoming film Tropic Thunder. The director, Damien Cockburn, is a novice and gets the group of actors into more trouble than they can handle, eventually stranding them in the jungle without lattes and assistants and trailers to pamper them. Profession… movie star. Kirk Lazarus fancies himself a true artist. He doesn’t “act” so much as he truly becomes his characters, leaving audiences in awe of his transformation. Even though some fellow actors believe he is kind of crazy for his devotion, Kirk literally cannot help himself. Interests… critical acclaim and Oscars. Kirk is interested in praise over anything else – but a seven-digit paycheck would also be nice. Relationship Status… single. Kirk devotes himself entirely to a role. He gives up his real-life relationship to become Sergeant Osiris, a military man with a rough side. Challenge… figuring out and becoming the real Kirk Lazarus. He’s not an African-American soldier and he’s not a homosexual 12th-century monk, as he portrayed in another film, no matter how completely he committed to those roles. At some point Kirk needs to discover who he is when he isn’t playing a role. 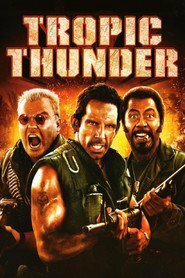 But first, he has to survive when he and his fellow Tropic Thunder actors – including the clueless, fading action star Tugg Speedman and the drug-addicted, fart-humor maestro Jeff Portnoy – are lost in the jungle in the territory of a deadly drug gang. Personality… artistic, confused, and committed to the point where one legitimately questions his sanity. Kirk sometimes fools himself into really believing he’s really an African-American soldier out here in the jungle, and he’s only brought back to reality when he fails miserably at trying to find a way out of the dense forest. Overall, Kirk has a very hard time admitting he’s wrong. Sorry, let’s call him “Sgt. Osiris” – he doesn’t answer to “Kirk” when he’s in character. Kirk Lazarus's popularity ranking on CharacTour is #2627 out of 5,000+ characters. See our top-ranked characters and read their profiles.